The hardreading staff was asleep at the switch (a common problem at the MBTA, right behind atexting at the wheel) regarding the Boston Herald’s front page yesterday. 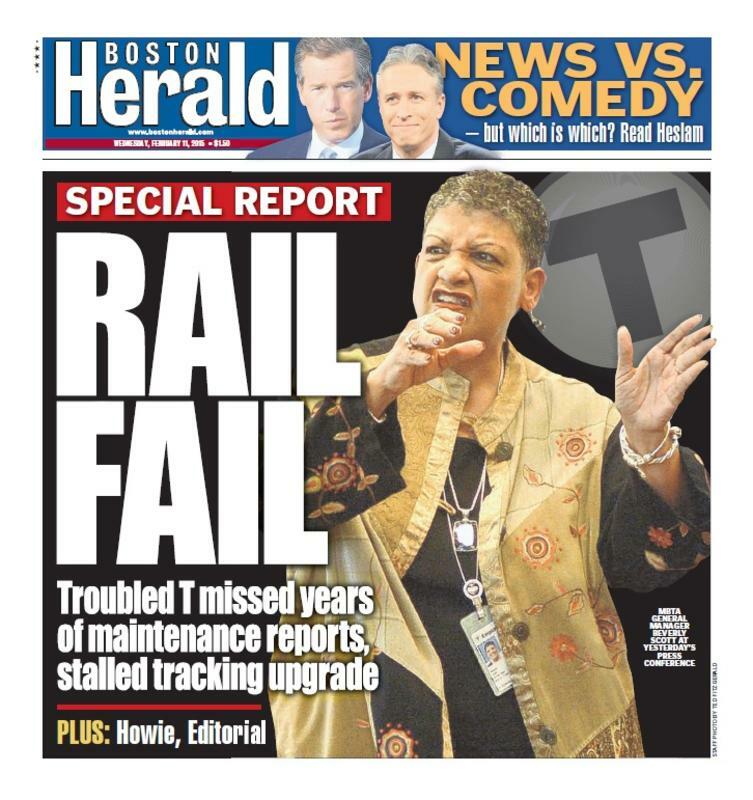 Of course, that’s just one of the many unflattering portraits to come of soon-to-depart MBTA chief Beverly Scott. Not soon enough for some, yeah? But perhaps sooner than the Red Line from Braintree. We’ve said it before and we’ll say it again: The MBTA is like someone’s hobby. Just not Beverly Scott’s after April. This entry was posted on Thursday, February 12th, 2015 at 9:12 am and is filed under Uncategorized. You can follow any responses to this entry through the RSS 2.0 feed. You can leave a response, or trackback from your own site. It’s a hobby that someone took up and then abandoned, just like ballroom dancing and the saxophone. Yeah – in the middle of the music.